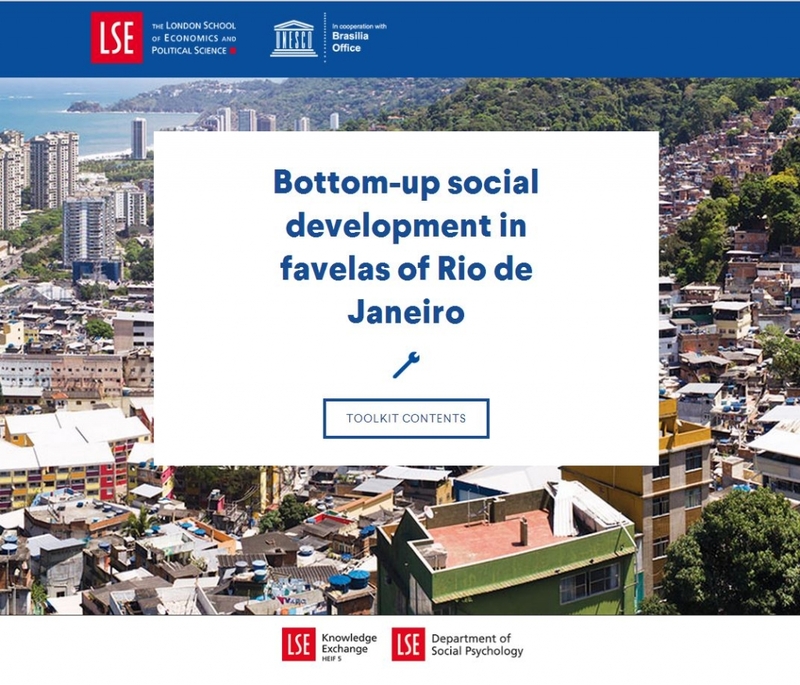 The Favelas at LSE project blog started a dialogue between the UK and Brazil, providing a space for reflection, sharing of experiences and debate for academics, activists, policy-makers, students and practitioners. Now the project has come to an end, and we will no longer be publishing new posts on this site. However, you can still explore our blog posts and download a free copy of the book Underground Sociabilities by Sandra Jovchelovitch and Jacqueline Priego-Hernandez. You can explore our toolkit – a practical guide based on research conducted in favelas of Rio de Janeiro. It draws on the experiences and accounts of people living, working and acting in the favelas, and, in particular, on the work of two bottom-up organisations – CUFA and AfroReggae. They offered the basic model of bottom-up social development found here, but lessons from other favela-based organisations are also included. Downloadable copies of the toolkit are also available in English and Portuguese. The Favelas at LSE project has come to an end, and we will no longer be publishing new posts on this site. However, you can still explore our blog posts, download a free copy of our book Underground Sociabilities, and explore our toolkit.